Bali, while still being one of the most exotic tourism destinations in the world, has developed quickly during the last decade. The main island is still a highly popular place for tropical getaway, which combines the natural beauty and high-end modernizations. Yet, little do people know that there are tiny, exotic islands around Bali to preserve the natural idylls and serenity Bali used to be well-known for. Those isles overshadowed by the main island’s charms save magnificent sunset, picturesque underwater beauty, and extraordinary wildlife like nobody ever sees. From the famous three Nusa islands, exotic northwestern island to the well-known Gilis, here is a small guide to island hopping near Bali. Hailed as the calm Bali, Nusa Lembongan reminiscing the island’s old vibes is known as the most famous among three Nusa islands. Taking 45 minutes via boat from Sanur or Tanjung Benoa, this isle has already been packed with limited variety of beachfront hotels, surf-houses, and beach clubs. However, this slow Bali is also packed with myriads of picturesque beaches with stunning, crystal clear underwater beauty as well as exotic mangrove forest. This island is connected to another Nusa island, Nusa Ceningan. 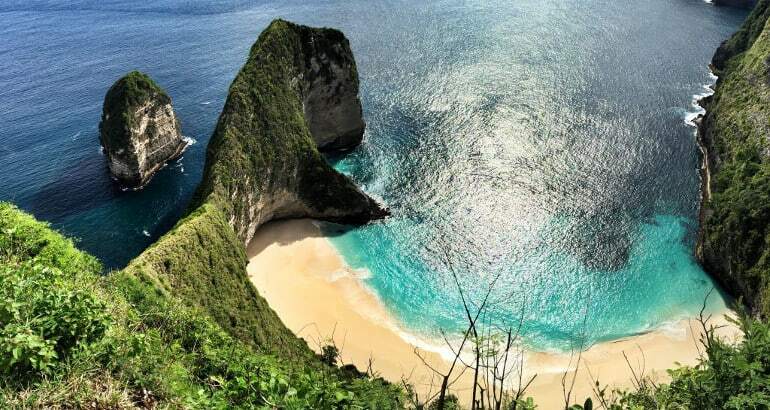 Known for the untouched beaches as well as picturesque diving and snorkeling spots, Nusa Penida is more obscure than Nusa Lembongan or even Bali. To reach this isle, people only need to take 30 minutes by boat via the same check point as Nusa Lembongan. 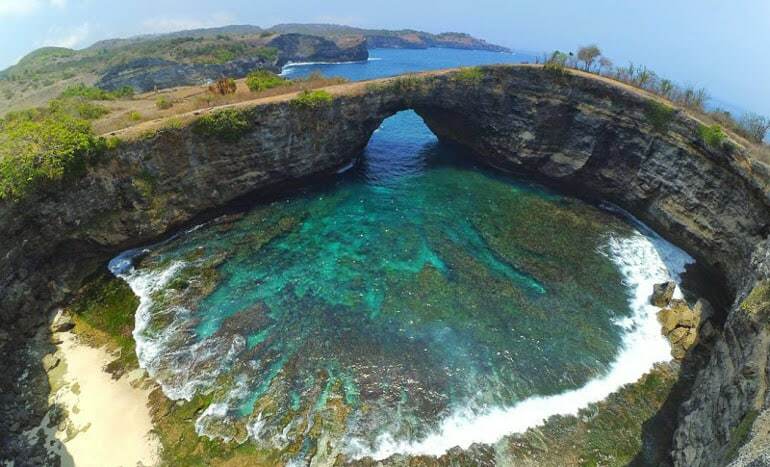 Not only for the marine wonders, Penida is also known for its mysterious temples, like Goa Giri Putri and Pura Paluang, as well as local birdlife reservation, with Bali Starling as the prima donna. This isle is directly connected to Nusa Lembongan; it can be reached via the same check points or Lembongan. Nusa Ceningan has similar niches as Lembongan, although it is less crowded. Ceningan also has idyllic marine spots with underwater temple and statues surrounded by exotic aquatic life. Turtle nesting is one unique natural attraction in this island. This island is located in the northwestern shore of Bali as a part of West Bali National Park. 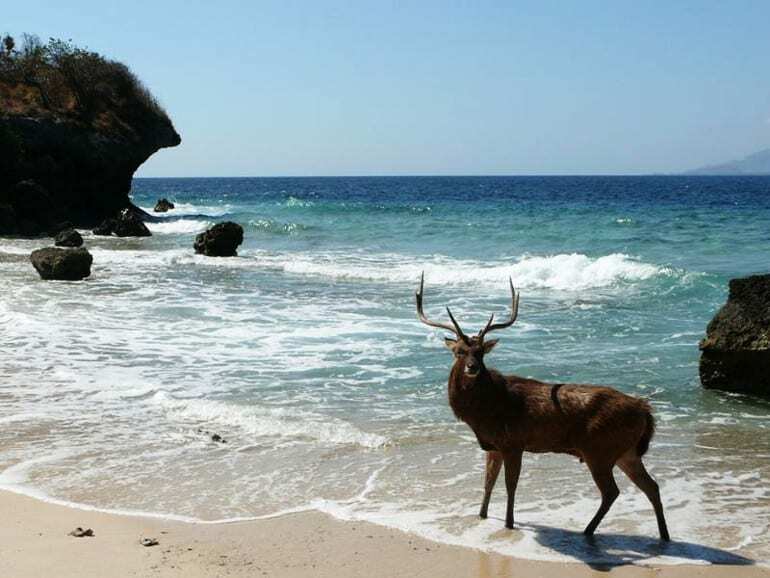 It is also known for larger-than-life snorkel paradise and natural habitat of specific deer called ‘menjangan.’ This island is a home of the famous Segara Giri Dharma Kencana temple. Off the coast of Bali’s neighbor island, Lombok, the Gilis – Gili Trawangan, Gili Air and Gili Meno are located. An hour from the shore of Bali, these islands are home for more atmospheric island life compared to nowadays Bali. Packed with large collection of hotels, restaurants and nightlife clubs, especially in Trawangan; it’s a great alternative for your Bali getaway.